You’ll find something fun for everyone in Burlington. 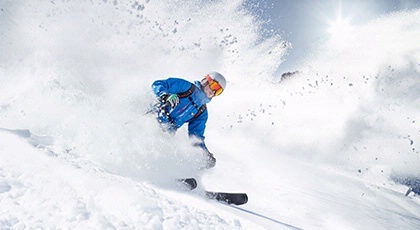 With The Essex as your home base, you’re just minutes away from skiing, shopping, breweries, hiking trails, cider mills, wineries, lake cruises, fine art, biking and even dog sled rides. There’s also plenty to do on-site at The Essex. Borrow our snowshoes in the winter or our bikes in the summer and create your own adventure. Enjoy a day of pampering at Spa at The Essex. Eat local, sustainable food at Junction and The Tavern. Up your culinary skills with a class at Cook Academy. Take long walks through lush gardens scattered across our 18 acres. Whatever your activity level or interest, The Essex has something sure to delight. 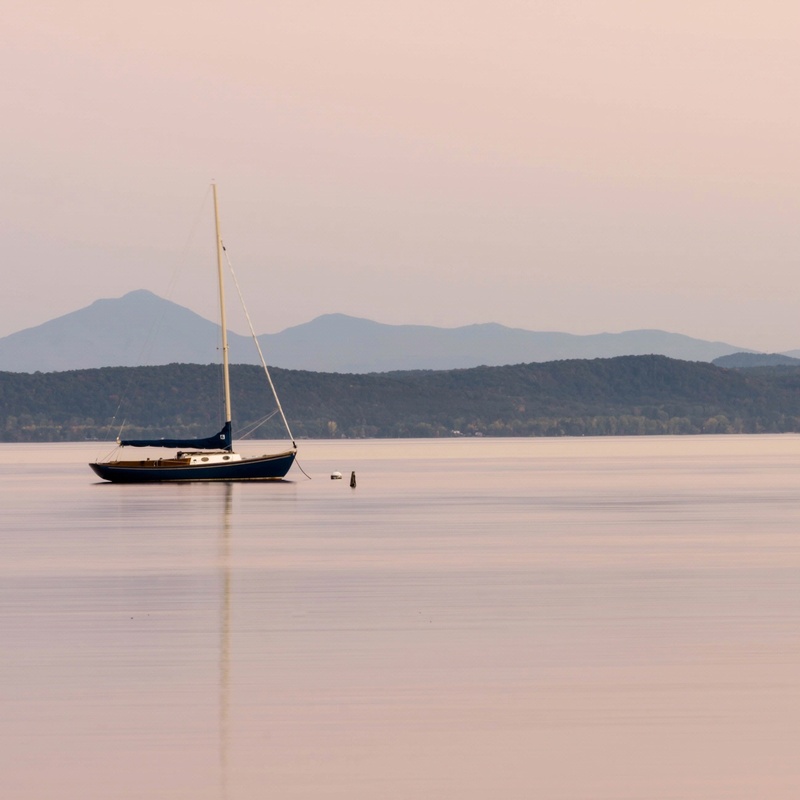 This 20-year-old community-based nonprofit sits right on the Lake Champlain waterfront and makes sailing and other watersports accessible to all members of the Burlington community — even visiting ones. 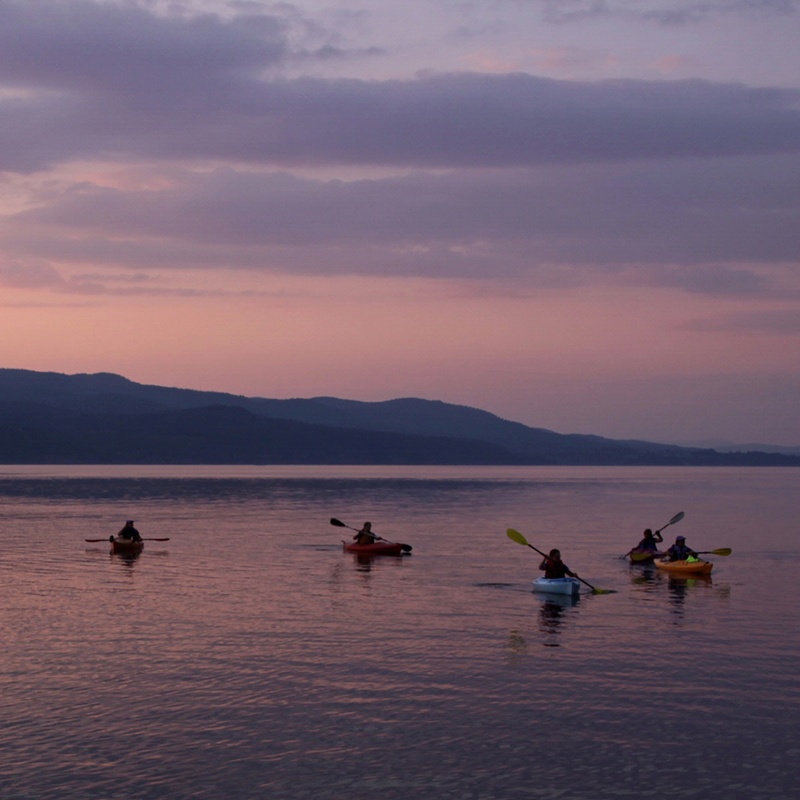 Base a vacation around one of their signature programs, like the Lake Adventure, where kids explore Lake Champlain from a variety of watercrafts (canoes, kayaks, and paddleboards), or the all-female learn-to-sail Women in the Wind program. Found in the heart of the South End Arts District, ArtsRiot is both a restaurant, a performing arts space, and a community gathering place. So while you dine on New American eats (think crispy pork belly ramen or maple-roasted broccoli) in this former warehouse, you’re also privy to poetry and burlesque events, among other performances, on its 120-square-foot stage. This simple eatery in Burlington’s Church Street Marketplace offers a mezze-focused, family-style Eastern Mediterranean menu featuring local ingredients. Dishes – created by the likes of chefs and co-owners Cara Chingazola-Tobin (formerly of Boston’s James Beard Award-winning Oleana) Allison Gibson (Hen of the Wood, Doc Ponds) – include fried Vermont quail with dried fruit, lemon honey, and mint as well as familiar favorites like spanakopita. Unknown even to most residents of the Queen City, this hip basement-based live-music venue showcases up-and-coming musicians from Burlington and beyond, including those on the fridge of going global (like Glass Animals). Find it in a back alley near the Ski Rack. 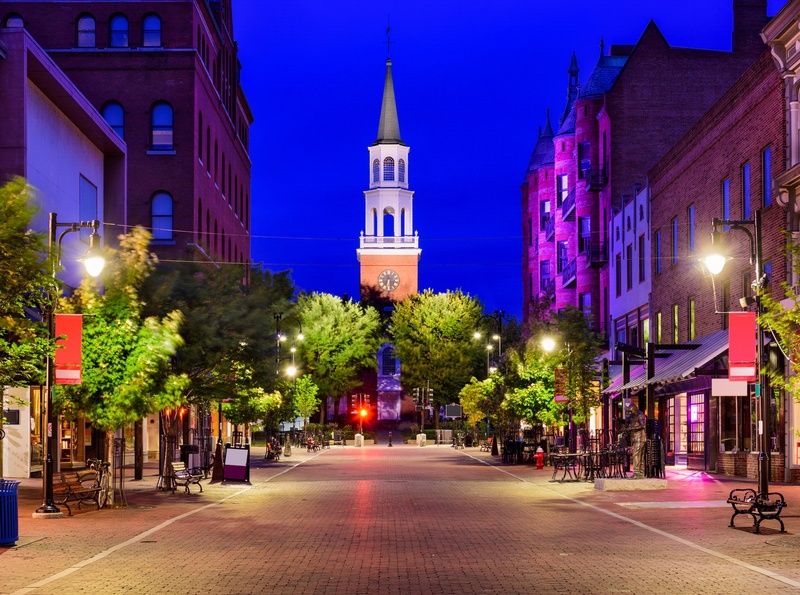 How to spend 36 hours in Burlington, Vermont, with The Essex as your base camp. Built by longtime Burlington brewmasters with the help of local artisans, this brewpub – punctuated by a long, winding stone bar flecked with stones collected from Lake Champlain – pours some of the city’s best and most imaginative suds, and slices up fresh charcuterie to kick off the weekend. This award-winning restaurant is named for the mushroom that tops its signature toast. Make a reservation as soon as you can, and eat whatever Chef Eric Warnstedt might suggest for the day; he’s the local savant of all things savory. Husband-and-wife team of Nathan Hartswick and Natalie Miller opened this space in 2015 in an old armory building on Main Street, and welcome funny acts from near and far almost nightly. Since 1980, this bistro has been a staple of Winooski, a Brooklyn-esque small city that sits next to Burlington. The all-day breakfast and brunch features signature dishes, like Kahlua-batter-dipped French toast, breakfast sandwiches with homemade turkey sausage, and, of course, bottomless hot coffee. Heading south on Route 7, your first stop is Shelburne Farms, the 1,400-acre working farm built by Dr. William Seward and Lila Vanderbilt Webb in 1886. Next up is Shelburne Museum, which showcases more than 150,000 pieces of American art in 39 buildings, including a lighthouse and the Ticonderoga steamboat. 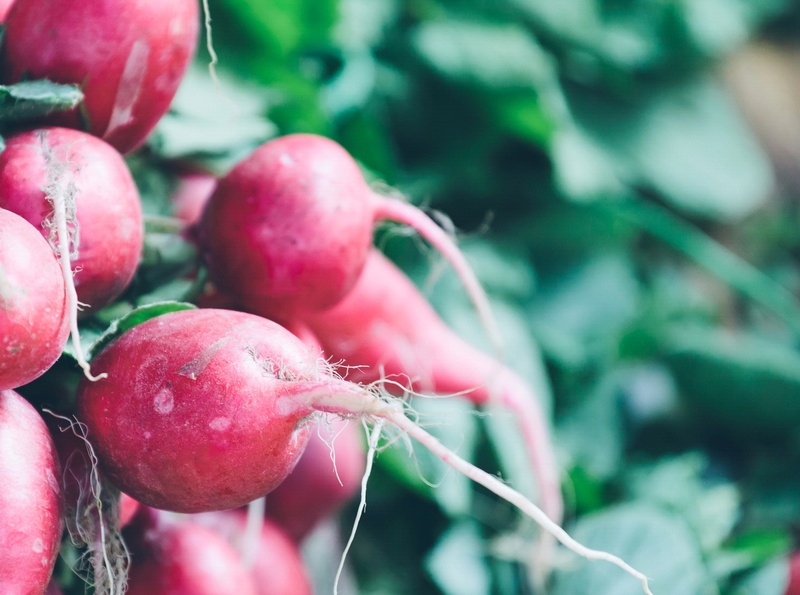 Pick up a picnic lunch at nearby Harrington’s or at Dakin Farm, and hike two miles up Mount Philo for lunch beside lovely views of Lake Champlain and beyond. Back in Burlington, the pedestrian-only Church Street Marketplace is lined with dozens of boutiques and vintage stores for souvenir shopping. We suggest Barge Canal Market for mid-century modern home goods or Vintage Inspired, a multi-dealer shop that overflows with vintage and curious goods in an old brick warehouse. It sounds like a children’s bookstore, but this downtown Burlington space is actually one of the top hangouts for grown-up drinks, such as the Milk Punch and the Negroni Popper. Owner Andrew LeSturgeon brings New York City experience here; be sure to try the brown-butter popcorn. Next door to Monarch & Milkweed, this pizzeria joint is unlike any other in the US. Organic, Vermont-grown ingredients top thin, crispy crusts with no red sauce in sight. There are also red-checked tablecloths, games, and local microbrews, plus occasional live music. When Vice President Joe Biden visited Burlington, he tucked into blueberry pancakes at this homey brunch café and is hardly the only celeb to discover the appeal. The Bucket-o-Spuds will satisfy the hungriest of home-fry lovers, while the Zydeco Breakfast brings southern warmth to a northern climate. Stretching some eight miles along the Lake Champlain waterfront and connecting to additional paved paths in Colchester, the Burlington Bike Path is the heart of the city’s outdoor scene from May through October. Rent bikes from Local Motion, and reward yourself with a creemee (the Vermont term for soft serve ice cream) from Burlington Bay Café before heading out of town. 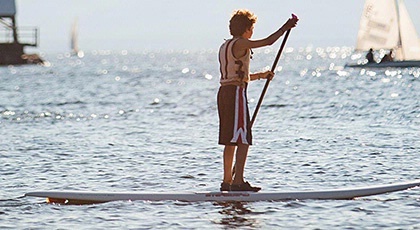 Stand-up paddleboarding is the number-one way to see the sights – including spectacular Lake Champlain sunsets, lush and colorful shoreline, and Green Mountain and Adirondack vistas – while getting a workout. Once known as Mascara Mountain for the fancy crowds it drew from Manhattan, Sugarbush, in the Mad River Valley, now has 111 trails that spill down the two mountainsides of Lincoln Peak (known as South) and Mount Ellen (known as North). Splurge on a snowcat ride for first tracks. 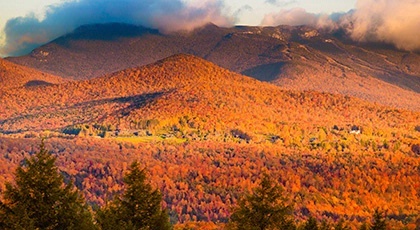 At 4,393 feet, Mount Mansfield is the highest mountain in Vermont, the home to Stowe ski resort, a feather in any serious hiker’s cap, and just an hour from Burlington. Take the popular Sunset Ridge trail, a three-mile moderately strenuous hike that climbs out of the trees to a rocky exposed ridge with spectacular views of the Adirondacks.